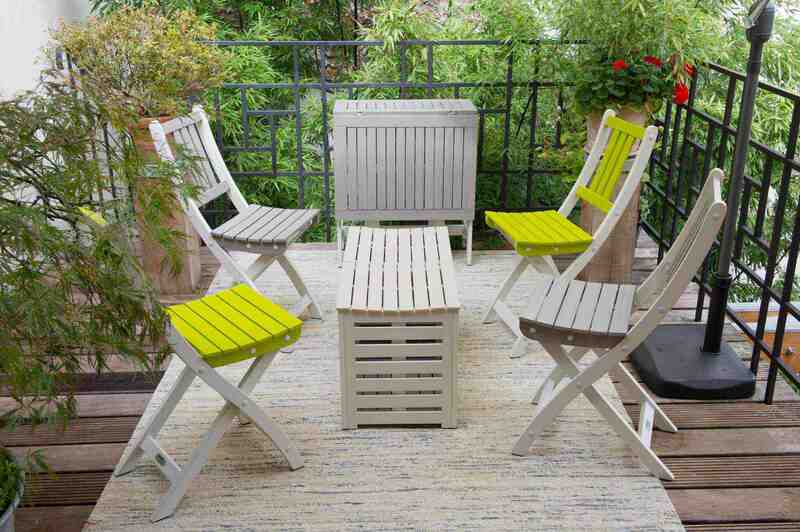 Balcony, terrace or garden, add eco outdoor furniture from City Green! 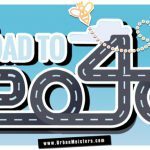 Readers by now you know that UrbanMeisters is the one-stop-shop for all things on urban green – from tips to products on all facets of urban lifestyle including food, fashion, decor, startups and et all. This time we have a new exciting topic to cover under decor – sustainable outdoor furniture for your green oasis, be it a small balcony, terrace or garden! Previously we have given tips on multiple aspects of green decor – from how to do kid’s rooms to prevent indoor air-pollution to how to go about achieving sustainable home decor. We have also given out tips on how to approach DIY upcycling & recycling. Now we hit the last stop – the little green oasis in our homes which in our space and time-cramped urban lifestyles is a luxury. There would hardly be anyone amongst all of you who doesn’t enjoy hanging out in their homes’ balconies / terraces to catch a bit of outdoor air. 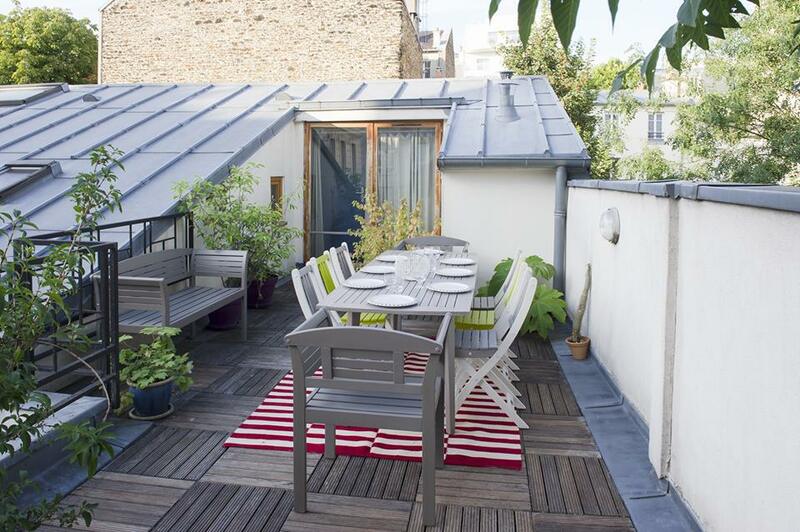 In Paris it is clearly hitting a jackpot when you find an apartment with a balcony or terrace. However, whatever amount of space we have at our disposal, we all love to do it up like the rest of our homes. Stocking up plants, a mini vegetable garden, hanging lights to small design accents, we each do it up in our own styles. Some Urbans go even further with their own bee hives and wine that they proudly present to their friends. However if you are considering putting some furniture (or had not put any due to lack of space), then we have a cool green brand that you can turn to – City Green! 1. The genuinely green: When we select a green product for you, first and foremost we ensure that the product helps you fight pollution or helps you live sustainably. We choose products that are the most sustainable and help you identify the REAL GREEN vs. GREENWASHING. We are strong believers in circular economy and help you be part of it. City Green’s outdoor furniture is made from sustainable materials in eco-friendly ways. 2. The easy/ practical green: We believe and insist that green living is not tedious or a daunting task. As global citizens occupied with a million things, we understand that any product or idea we present has to be efficient yet convenient to help us switch. Keeping that in mind we present products that have a realistic fit into our urban lives. City Green makes innovative products that are stackable, dismantlable and can be collapsed to expanded in less than a minute to fit our needs. You all wish to enjoy your balcony or terrace to the fullest, whatever its size. It is your place, your nest and you want it to be at your disposal, to follow your moods, live out your unexpected moments, your desires. Besides your living room, bedroom, TV room, it can easily become yet another lounge space. Now that you know this, you can clearly understand, why it’s so important to make sure we have green furniture for our balconies & outdoor spots. City green doesn’t just make eco outdoor furniture, they go a step further and make designs that fit every space effortlessly. City Green presents its outdoor facilities, collections inspired by your lifestyle and designed keeping in mind its urban users. Innovative products from the brand help you enjoy your outdoor spot to the fullest by aiding your usage needs. Most of the furniture products can be folded, stacked or dismantled yet all the designs are also strong and light to use daily and tidy up easily. This is City Green’s commitment, break the design codes to allow you to optimise even the smallest area thereby making it an additional spot to hang in. 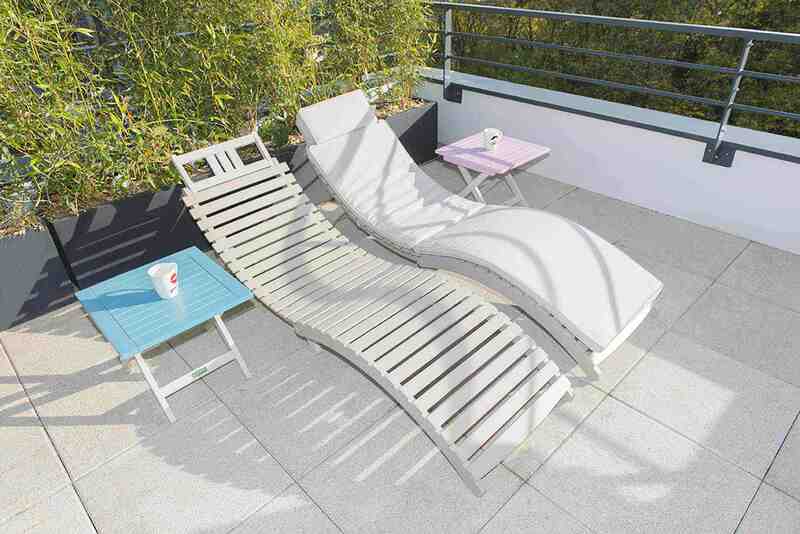 You will be able to furnish your new room – the outdoor spot – astutely to welcome all the moments of the day. Watch the video below to understand how does City Green furniture adapt to your needs! Do up the new outdoor room sustainably! You enjoy nature, even in town and you want it close and available at hand to you. Soak in some nature and outdoors, slow down the rhythm, have a break and breathe, revitalize yourself in your green Eden. And at the same time enjoy it responsibly with our range of products. 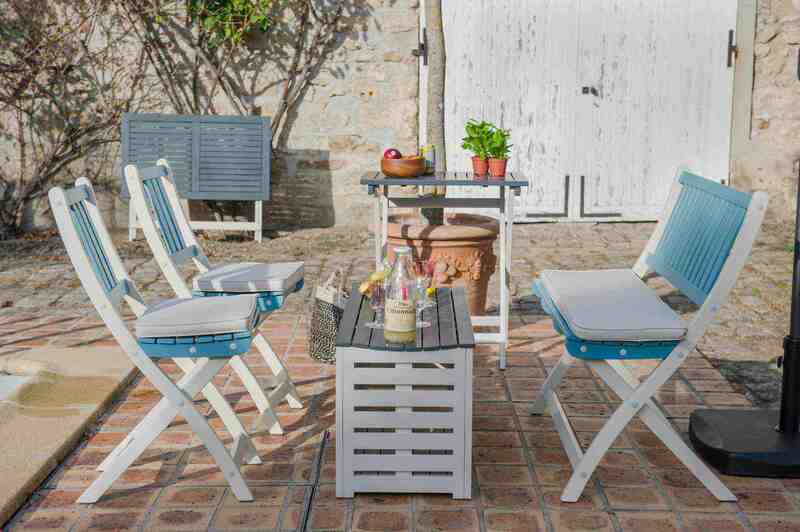 Not only is the City Green range of eco outdoor furniture sustainable from sourcing to producing, it’s also designed to be responsible to your loved ones health. City Green makes its products from natural materials, like hybrid Acacia wood 100% FSC®-Certified and sourced from sustainably-managed forest. Hybrid, because it comes from Mangium Acacia mixed with Auriculiformis Acacia. Its strengths? It grows on dry grounds, leaving the rich areas for food farming, is disease-resistant and doesn’t need any chemical treatment. City Green products are controlled with TUV laboratory which allows each product to reach its actual fullest standards and bring to you durable furniture without risks of transformation, de-coloration. Furniture that is as safe as comfortable and comes with a 3 years warranty. City Green’s furniture is painted with 4 coats of environmentally-safe paint, to respect the environment and the individuals who will use it. As a result, there is no vapor, dust or toxic gas emission from its production until its use. City Green is the brand of outdoor facilities we have all been looking for – the perfect fit. 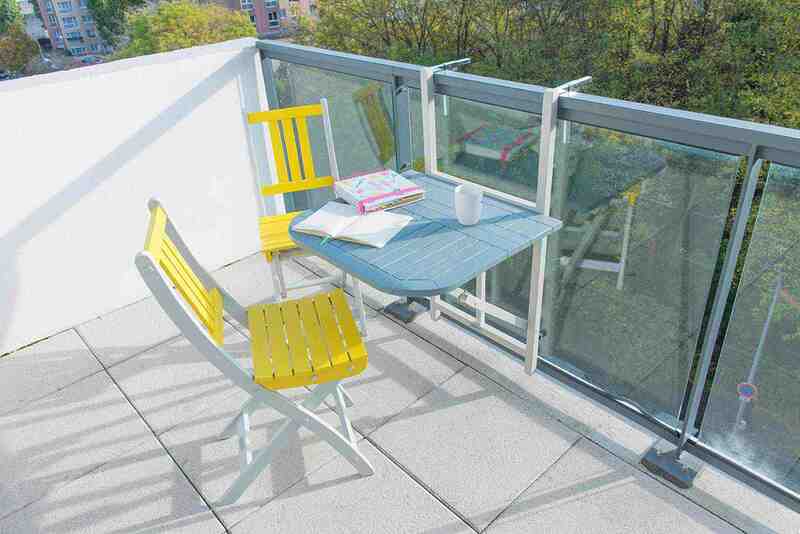 Designed in France and adapting to all your areas and configurations, since 2013, the company develops its concept of furniture for balconies and terraces, with respect to the environment as a prerequisite. Foldable, stackable, dismantlable furnitures that can be mixed. Furniture made for and by the users themselves. Make your outdoor life easier, this is key motto of this brand. You won’t spend time on the products or its maintenance and instead enjoy your free time better. Shop some eco outdoor funiture! UrbanMeisters you can make your green outdoor spot instantly loung-able with some eco outdoor furniture from City Green’s current collections. Named Burano, Cuba, Kyoto, Malacca, New York, Portofino, explore the collections draw on modern global design aesthetics. Have fun with the collections and colors which can be mixed and matched together. Their site features all their products collection-wise. It also features separate categories like garden seating, parasols, tables, lounge decks, cushions as well as salon sets basis number of persons from 2 -6. Their whole sets depending on collection can go upto 789,00 Euros. Individual pieces like tables start at 89,00 euros going up to 659,00 euros. Explore some of their top-selling designs to get started. You can also surprise someone with a gift voucher from City Green ranging from 50-150 euros! Shop online or locate a point of sale near you. 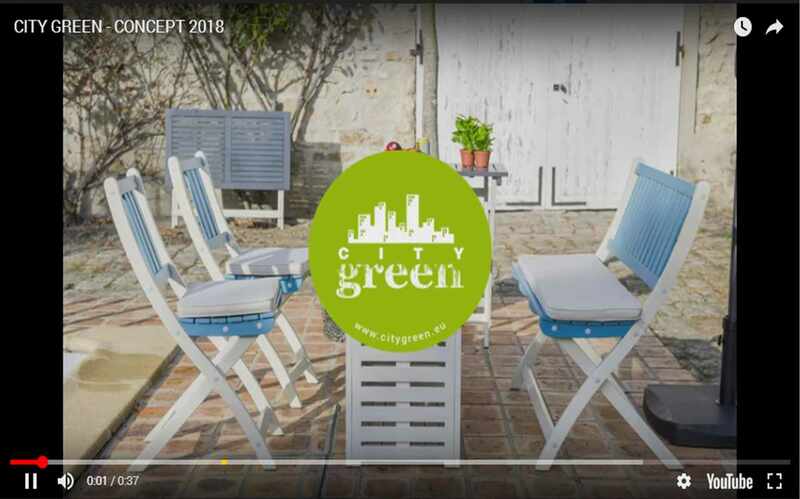 If you are not in an area serviced by City Green, good reason to support their crowdfunding campaign and their ambition to expand in Europe and North America! 2018 will be full of new projects for City Green team: 3 new collections, a new e-shop and international roll out in Europe and North America. To keep up with the brand, follow them on Instagram or Facebook. 1. Discover the Smart Plant app that helps you take care of your plants even if you don’t have green thumbs. 2. 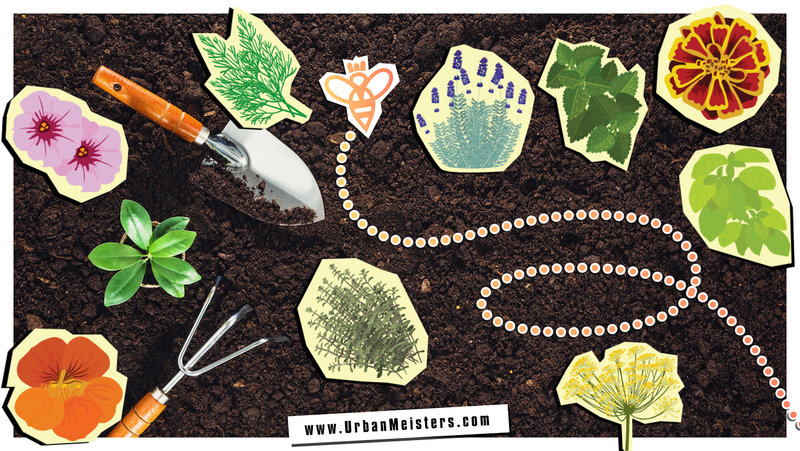 Here’s how to take care of your garden organically!